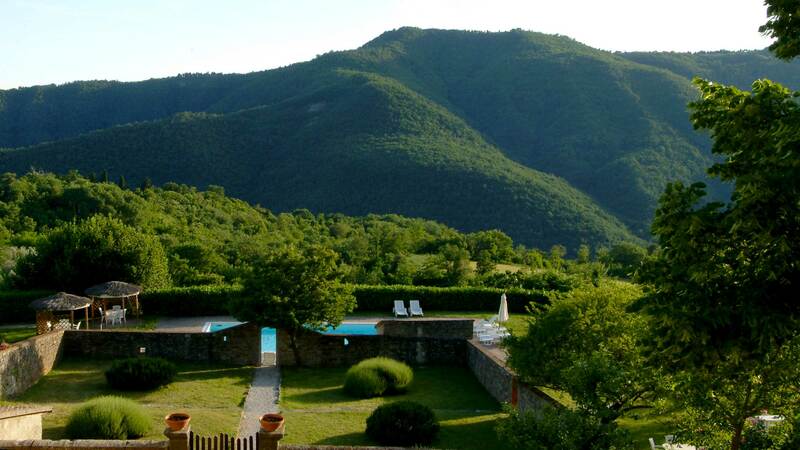 Located inside the borgo on an extensive terrace surrounded by a meadow and bordered by a hedge, the swimming pool is beautifully integrated into its surroundings and boasts a view out over the Val di Sieve. Around it are beach umbrellas, chaise lounges, and 4 gazebos with tables and chairs where guests can sit and relax at perfect ease. At the restaurant, guests can purchase a glass of wine, soft drinks, water, beer, and various snacks to consume poolside. Nearby is the ancient hortus conclusus, where spices and herbs were grown in the past for use by local farm families, and today as well.